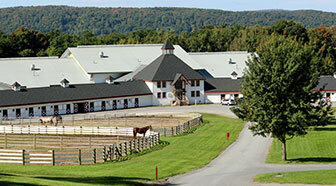 Cazenovia College is home to one of the premier equine centers in the northeast. Built in 1999, the 240 acre center is home to the College’s nationally ranked Intercollegiate Equestrian Team and also serves as the “laboratory” for our nationally recognized Equine Business Management specialization. Our Equestrian Team is one of the best in the region, with a long history of success at intercollegiate competition in Hunter Seat, Western Horsemanship, Reining and Dressage. The team offers the chance to compete in IHSA and IDA sanctioned events. Everyone, from the least to the most experienced rider, has an opportunity to compete and excel. 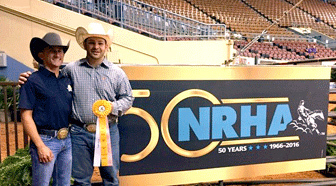 Our riders have won twelve individual National Championships (in IHSA and IDA) to date. The College’s 240-acre Equine Education Center houses a herd of 70 horses, including Thoroughbreds, Warmbloods and Quarter Horses, as well as numerous other breeds. The large heated indoor arena, multiple outdoor riding areas, and turn-out paddocks provide ample space for the various activities that students pursue. 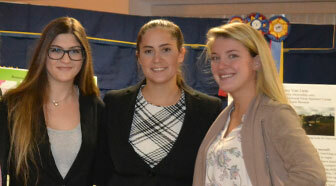 The facility offers a premier educational environment that features a network-wired classroom. The Equine Center has been proud to host the National Championships for the IHSA and the IDA three times. The College is located in the lakeside village of Cazenovia, 25 miles south of Syracuse in the beautiful Central New York region of New York state. We offer over 35 bachelor degree programs in the liberal arts and professional studies in an exceptional community environment, with academic and co-curricular programs devoted to developing leaders in their fields. 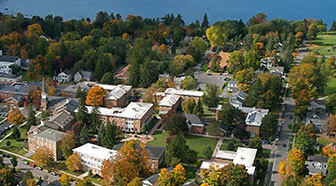 U.S. News has named Cazenovia College a Best Value Regional College for 15 years. Cazenovia College has offered equine degree programs since 1974. The Bachelor of Professional Studies degree in Management with a specialization in Equine Business Management is designed for students interested in the organizational, management, and commercial aspects of the equine industry, as well as students interested in advanced horse care, breeding and stable management. The business and equine courses provide students with the skills necessary to pursue either a hands-on or support position in the equine industry. Follow the Cazenovia College Equestrian Team!